We are very focussed on involving family members with concessions for family membership. We run a number of events that target both junior and family involvement. 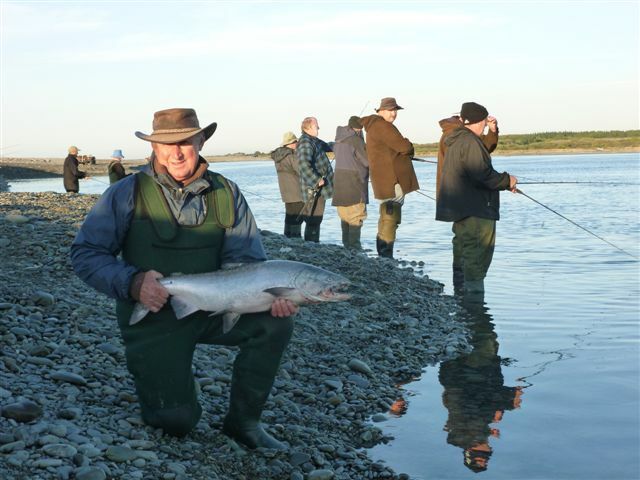 The Canterbury Anglers Club meets on the 3rd Tuesday of each month (February to November) at 7.30 p.m. at the Waimairi Lions Club, 338 Avonhead Road, Avonhead, Christchurch 8042 (the cricket club/ tennis club entrance). Visitors and prospective new members are always welcome to attend our meetings. Meetings usually feature a guest speaker, plus items from Club Members and cover topics related to all forms of fresh and saltwater fishing. Fly tying and rod building has also been featured. A light supper is provided. We generally try to finish with a “how to” and “where to” go fishing session, useful for new and existing members alike. Our August meeting features an auction of fishing, camping and general items and is used to raise funds for the Club’s lodge maintenance and development programme. Items in the auction are generously donated by a number of commercial and retail firms plus donations of superfluous equipment by Club Members. The Club owns three lodges situated at Cass, Lake Clearwater and at the South Rakaia Huts settlement. These facilities are all located close to noteworthy fishing spots. The lodges are warm and comfortable, and are of a standard suitable for families as well as to fishing parties. Rental is to members only (but the member may include non-members in the party). Rental starts at $20.00 per night per adult or $50 per night to book the whole lodge out. There are concessional rental rates for children and family parties. The Canterbury Anglers Club has long been involved in local conservation matters. In the past this has included: Trout Unlimited, Guardians of the Styx, the Cam River Working Party, and the review of Marine fishing regulations. The Club has been heavily involved with submissions to the proposals that are being promoted by Central Plains Water, and other proposals that have a wider impact on our braided rivers. With water abstraction now starting to have an effect on local spring creeks, club members are switching their efforts to stream enhancement programs across Christchurch and Canterbury, assisting both community groups and programs coordinated by North Canterbury Fish and Game. “Many hands make light work”. In the past a number of our members have been elected to the council of North Canterbury Fish & Game. The Club publishes a monthly newsletter (except for December & January) which summarizes guest speakers’ talks, contains notes on contentious issues, reviews Club trips and includes original items by Club Members.